The NRG10-115AC-4Q-PCM, with a robust set of features, is easy to use and at the same time, will satisfy demanding application requirements. In addition to on-board fusing to protect your motor and drive, the it will accept any AC input voltage bewteen 90 and 120VAC at 50 or 60Hz. With the auto-ranging power supply there are no switches to set,no settings to change. 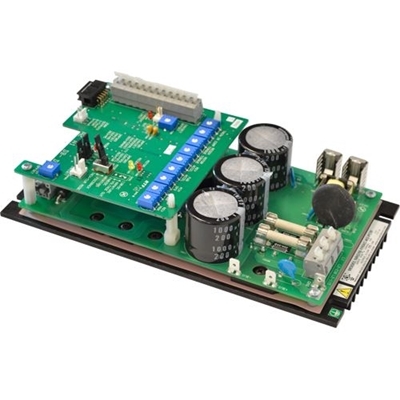 The NRG10-115AC-4Q-PCM will work with isolated logic signals, motion controllers and programmable logic controllers. It is also compatible with Minarik's popular PCM4 signal isolator, DLC600 digital controller and 200-0386A limit swtich logic boards. Contact factory for connections.